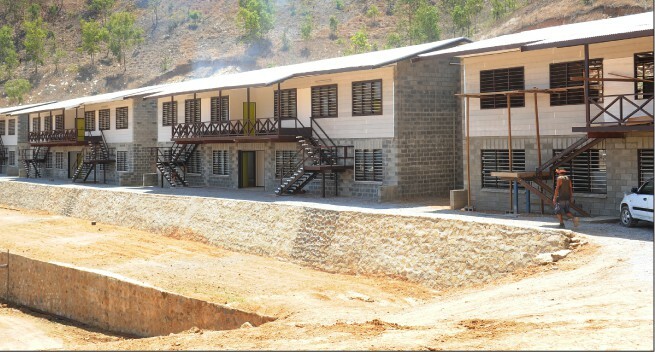 The Institute of Christian Academy is reaching new heights with the choice of relocating its next intake of students to the newly built campus in 2016 at Moitaka’s Kennedy estates in Port Moresby. The relocation will have students from grade six up to grade 12 enjoy the openness of the environment away for the city’s noise. The two new two storey buildings have six classrooms and will also cater for a brand new auditorium. Apart from these expansions a new sporting field is planned to be graded a few meters away from the classrooms. The 2.5 hectares of land where the new campus is being built was acquired at the cost of K1.7 million through a lease and development agreement with property owners, Kennedy estates. The Institute of Christian Academy (ICA) is a privately run Institution established in 2005 under the sheer hard of its director, Tobias Nangunduo and couple of teaching staff. ICA enrolls students from preschool to Grade 12 using the Accelerated Christian Education Curriculum (ACE) and the Papua New Guinea curriculum from Grade 6 to 10 and the school’s present enrolment capacity is at 1100 students. The obligation of ACE is to help train youth in a biblically consistent manner and is a venue that produces curriculum and materials and provides educational training, all of which are based on biblical principles.